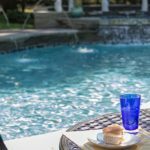 Skovish Pools > Company News > Blog > Should You Get A Salt Water Swimming Pool? Should You Get A Salt Water Swimming Pool? If you’re thinking of putting in an in-ground pool or going for a pool remodeling in Luzerne or Shickshinny, Pennsylvania, you may have heard that there’s an alternative to traditional chlorination: salt water. Salt-water systems have been around for decades, but they’re really starting to catch on these days. But should you get one for your backyard? First off, the salt in your salt-water pool isn’t what’s protecting it. In fact, the water shouldn’t taste very salty at all. Instead, the salt is there to match the chlorine with sodium ions, and a machine in the pump system separates the two using electrolysis. This creates a small number of free chlorine ions that can then destroy algae, bacteria, and viruses just like a normal chlorine pool. 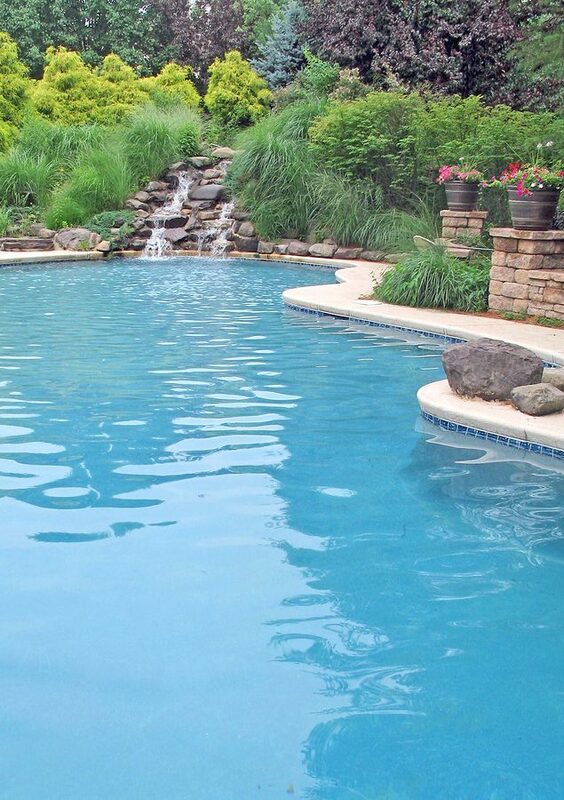 Salt-water pools have less free chlorine than traditional pools, but they work just as well. • With much less free chlorine, a salt-water swimming pool is much easier on your skin and hair. • The electrolysis machine helps keep the chlorine balance just right, although you do still need to keep track of the chemical balance and the pH level. • Salt water and the freed sodium are caustic, and they can rust your pool equipment and accessories (and even wear down the patio) if you don’t prepare them first. • The salt cell that electrolyzes the chlorine used electricity and wears out every few years. 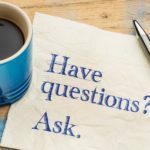 That may sound like a lot of drawbacks, but if you know what you’re getting and how to prepare your pool you shouldn’t have any more trouble maintaining it than you would a traditional chlorine pool. In exchange, you get pool water that feels better on your skin, doesn’t turn your hair green, and doesn’t smell like chlorine unless it’s time to shock the pool. You’ll use a little more electricity whenever the pump runs, but that’s the only real long-term cost once you’ve finished your pool remodeling in Luzerne or your new pool construction in Shickshinny. So while a salt-water system isn’t chemical free and it doesn’t mean your pool becomes maintenance-free, it does have a real benefit that a lot of pool owners appreciate. Just make sure you know what you’re getting before you make the switch.